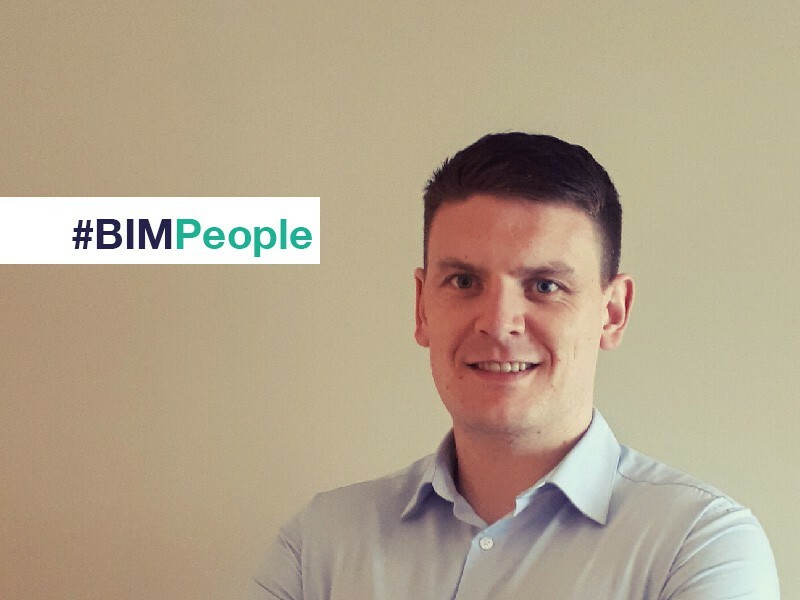 Fergus Nugent is a Pre-Construction Project Manager at Ardmac and has extensive experience of using BIM on large construction projects. BIMIreland.ie spoke to Fergus about his work, BIM at Ardmac and the projects he has worked on. Prior to working as a Pre-Construction Project Manager, he worked in other roles within the company, as an Architectural Lead on major projects, and previous to this as an Architectural Technologist. 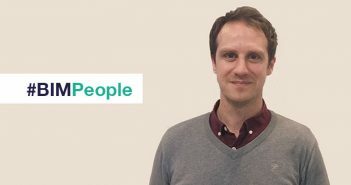 Fergus has a Bachelor of Science Honours Degree from Waterford Institute of Technology, is a member of the Chartered Institute of Architectural Technologists and is currently completing a Master Degree in Construction Project Management. Fergus, can you tell us about your work as Pre-Construction Project Manager at Ardmac Ltd? As Pre-Construction Project Manager, I oversee a team of 19 Architectural Technologists and BIM Co-ordinators based throughout Ireland, the UK and Mainland Europe. We operate within the company’s Technology Division and are mainly involved in the construction of Pharmaceutical, Bio-Pharmaceutical, Med-Tech, Data-Centre and Interior Fit-Out projects. The role involves managing the Design Process to ensure compliance with building regulations, client requirements, project specifications, design completion and Ardmac company procedures. It is a challenging role but I am very lucky to be part of a fantastic team! How has BIM changed the work practices for a Pre-Construction Project Manager? In my experience, BIM has drastically changed the day to day role of a Pre-Construction Project Manager. I travel quite a bit with my role so it is great to have access to the latest design information via the cloud. I find myself reviewing Navisworks models daily rather than redlining printed drawings. Constructability reviews with our site teams are much more effective when using BIM, using tablets we can even conduct these reviews in the field. I also find that Clients and Consultants are increasingly favouring the early engagement of Specialist Contractors like ourselves to form part of an Integrated Project Team. This practice allows us to provide expert advice at an early stage of the project to avoid re-work down the line. Finally, I believe BIM has greatly increased our efficiency which has not only benefited Ardmac but also our clients. Please tell us about the projects on which Ardmac has best utilised BIM and the advantages it has brought? Ardmac has engaged in collaborative early engagement design on multiple complex projects. Using BIM allows our team to co-ordinate with multiple trades in a live 3D environment, reducing clashes on site while streamlining the construction process. Using cloud-based storage allows all team members access to the most current project information which is greatly beneficial. It allowed us to recently deliver a Design and Build project for a 60,000 sq ft Medical Technology Facility three weeks early, fully co-ordinated, clash free and with zero safety incidents. We use Navisworks Manage to produce clash checks and have recently begun to look at 4D simulations, mixing Microsoft Project schedules with Navisworks Manage to sequence works in congested areas. We also find Revit to be excellent for producing schedules and Bills of Quantities for ordering materials. This process has been effective in reducing errors during the procurement phase of projects. During my time with Ardmac I have been very fortunate to work on many fantastic projects throughout Ireland, the UK and Europe, for companies such as Alexion, BMS, GSK and Pfizer to name just a few. Our strong relationships with these companies have without doubt, greatly improved our BIM capabilities. Can you please tell us what the company has done to adopt BIM in recent years? Ardmac have been using 3D design software from as early as 2006 but it was in 2011 when we began to use BIM in earnest. We enlisted the help of a company called Arcdox who provided us with excellent training and advice. Ardmac Management have fully supported our transition to BIM practices and have made funding available for investment in software and hardware. We have refined our procedures and workflows based on lessons learnt from previous projects. In 2015 we introduced the use of BIM on site for setting out and model viewing and are now starting to utilise BIM for quantities using packages such as CostX for estimation purposes. What are your experiences of working with subcontractors and consultants using BIM? The complex nature of projects necessitates the accurate use of BIM, and our consultants and subcontractors must have a comprehensive capability in BIM in order to deliver our projects. What is your opinion on the Commencement of the Consultation Process on the Adoption of BIM on Irish Public Works Projects? I can only see this as a benefit to the industry. It is Best Practice to have a collaborative approach of consultation within the industry and engage in productive discussions where ideas can be shared and lessons learned, as shown by the UK’s BIM implementation process. What is the demand for BIM like among private clients in Ireland? Clients are becoming savvier at implementing technology and recognising the benefits that BIM can offer. The Ardmac process always introduces clients to the overall benefits of BIM, producing a 3D co-ordinated model for their review. For example, we have started to implement QR coding of major plant on certain projects allowing easy access to important data using smartphones. Please name the main types of clients demanding BIM on projects? Most clients can see the benefits of BIM and whether it is a new build or a refurb, large or small project there is a benefit from using BIM. Consultants are playing a role to encourage clients to consider the use of BIM. What advice would you give to a client considering using BIM on a project? Education is crucial if a client is new to BIM. It is worth getting some advice from some of the many BIM experts in Ireland. I would recommend the production of an Employers Information Requirement form which is available free of charge to download. This provides a solid base to which a client can determine quickly what they hope to benefit from using BIM. From there it becomes critical to engage a consultant or contractor that can deliver a project in BIM and maximise its advantage for all parties. Please tell us your opinion on using BIM and Lean Construction together? 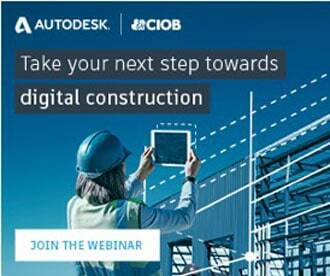 BIM has an important role to play in the implementation of Lean Construction. While Lean Construction has many different definitions, it is primarily about reducing the 8 wastes (Transport, Inventory, Motion, Waiting, Over processing, Over production, Defects and Skills) as well as working smarter and increasing collaboration as a team, top to bottom. I fully believe this is where BIM will provide the biggest benefits to the construction industry. Ardmac has begun implementing Lean Construction practices in recent years also and have frequently found there to be a crossover between both. For example, we recently completed a study on ceiling suspension rods clashing with services. As the table below shows, BIM can greatly reduce re-work and wastage due to clashes, thus improving productivity. BIM has also enabled us to greatly reduce wastage by using standard components, more accurate quantities and saving time by increasing efficiency. How do you think Irish contractors compare with international companies with regards their capabilities to deliver BIM projects? Irish companies rate very highly in their BIM capabilities. Irish companies have always excelled internationally in the construction industry and I feel that we are starting to add BIM as another feather to the cap. I find Irish BIM designers to be extremely practical and diligent. Can the increased BIM and digital construction skills of Irish contractors significantly influence FDI clients to further invest in Ireland? Yes, I agree, it is critical in every line of business, in every sector to utilise the latest technologies to retain and attract clients. Today’s clients are smarter, more empowered and better connected than ever before. This is the digital age of collaboration. The rates of innovation in a number of technologies have enabled pioneers in the construction industry like Ardmac to leverage technology to change business models for erecting large-scale projects. Have you recommendations to further increase the Irish Construction Industry’s BIM and digital construction capacity? There is certainly an increasing interest in prefabricated modular designs from clients. We are currently implementing our first design model for fabrication purposes. Reducing the number of steps from model creation to material on site is a key area that I feel will improve in the near future. The contents of this site are subject to copyright laws and may not be reproduced in any form without the prior consent of the publishers. The views expressed in articles do not necessarily represent those of the publishers.